Picking the correct mortgage for your circumstances can seem like a minefield with the vast array of options on offer in the marketplace. 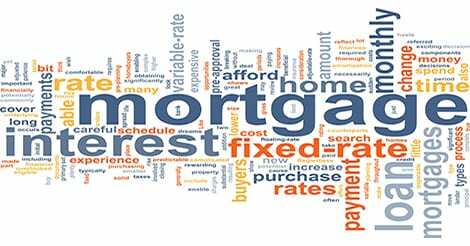 Even with the current economic downturn reducing the number of mortgages available to customers, there is still a vast array of different mortgage types, rates, offers and packages for every type of home buyer. EXPLORE VARIOUS MORTGAGE TYPES TO FIND WHAT SUITS YOU BEST! Start Here By Comparing Your Rates! The trick is to do your research before you delve into the range of market offerings and understand your particular requirements and circumstances. Do some reading and research so you`re clear on what you`re looking for – as a mortgage is possibly the largest loan you will ever take out and think about whether you are comfortable handling your mortgage choice and application yourself, or whether you would prefer to use a broker. An independent broker is ideal for getting help navigating the maze – but avoid a tied broker who will only advise on the products he or she gets commission for. Alternatively you can review the market and negotiate your own application directly with a bank or building society. The main types of mortgage categories are first time buyer, remortgage or buy to let. First time buyers may have specific needs and smaller deposits (no existing equity to transfer.) Specialist products exist for this group, with higher LTV (loan to value) amounts, lesser deposit requirements and additional help with costs or incentives attached such as fee free processing and help with searches, legal fees etc. A remortgage involves a homeowner either moving house and porting a product, or remortgaging to a more competitive deal – either with an existing or new mortgage provider. These mortgages make up the bulk of the market. A buy to let mortgage is a specialist product for landlords, or those looking to rent out their property commercially. They will have more stringent terms, generally higher interest rates and require greater deposits or equity, reflecting the greater risk with the arrangement. Beyond these types, the mortgages themselves fall into broad categories. Fixed rate mortgages do just that- you pay the same agreed amount each month, reflecting a static interest rate. A variable rate mortgage will rise and fall depending on the movement of the Bank of England base rate, with payments adjusting accordingly. Tracker mortgages work in similar ways. A discount mortgage will cost less than a standard rate for a promotional introductory period of time and then revert to a higher rate for the term remainder, or the SVR (Standard Variable rate.) There are pros and cons to each, which should be considered according to your needs. Another interesting newer product is the offset mortgage, where a mortgage outstanding sum is offset against savings. This means you earn no interest on your savings, but at the same time, pay no interest on the corresponding mortgage amount. For those with savings of £10k or over, this can be a very competitive and attractive form of mortgage, with interest calculated daily and flexible repayment and over-payment terms. As a general point, the best mortgages do tend to disappear quickly, so head to financial information sites to find what`s available and begin your application into the world of home ownership!